(Bali, July 2018) Samabe Bali Suites & Villas is finally proud to announce for the launching of brand new Beach Lift. Just finished last month, it is marking up that the summertime is finally here too! To make the guest’s stay at ease, to those who want to go down to the beach while enjoying a sip or two or more sips of good cocktails and basking under the Bali’s sun, they only need less than 5 minutes to be on their favorite spot. However, the stairs is still available which can be accessed right in front of the pool. 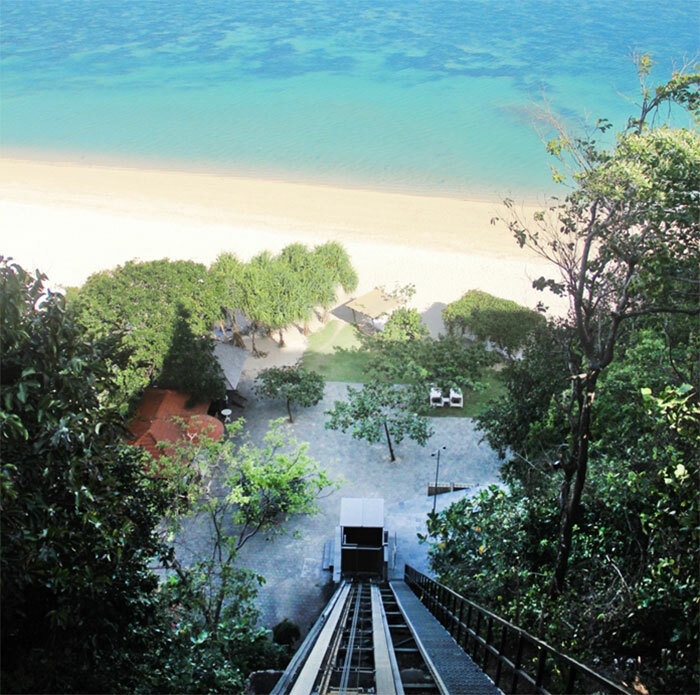 The Beach Lift is operated daily from 09.00 to 22.00 hours. No more reasons to not visiting a fine sandy white beach of Samabe Bali Suites & Villas. “So much happened behind this project until then it finally breaking the ground. It is incredible to accomplish in a few months and can see how much the guest likes it. It has been clear from the start that it is the best plan to improve our service and facility and create innovations around the resort to elevate guest’s experience” Said Mr. Ralf Luthe, General Manager Samabe Bali Suites & Villas. For those who are excited with our new Beach Lift, you are invited to come here and experience by yourself. Book your room NOW through www.samabe.com or make a call to +62361 8468633.